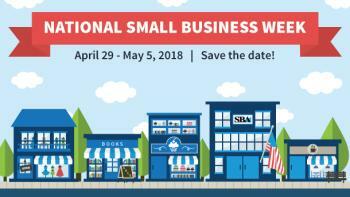 This celebration of small businesses will be held nationally and locally April 29-May 5, with 2018 marking the 55th National Small Business Week in the U.S. The New Braunfels Chamber is encouraging all residents to wear yellow on Friday, May 4 and use #SBWNB on social media during the week to show your support for our local businesses or promote your own small business. Also during that week, the Chamber will celebrate and honor the 2018 Small Business Person of the Year Natalie Rougeux. Every year since 1963, the President of the United States has issued a proclamation announcing National Small Business Week, which recognizes the critical contributions of America’s entrepreneurs and small business owners. More than half of Americans either own or work for a small business and they create about two out of every three new jobs in the U.S. each year. Every day, entrepreneurs are working to grow small businesses, create 21st century jobs, drive innovation, and increase America’s global competitiveness. Join us in recognizing and celebrating small businesses in New Braunfels.